With spring upon us, we encourage you to look and feel your best not just with the aid of cosmetic enhancement but also with natural and healthy changes you can do yourself. 1. Drink lots of water. 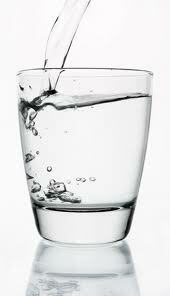 Even if you think you’re drinking plenty of water, chances are you can up your intake throughout the day. Drink a glass in the morning when you wake up, before each meal (in addition to during your meal) and before you have a snack as you may be confusing signs of thirst for signs of hunger. 2. Avoid salt. Salt is hidden in even seemingly healthy foods like low-calorie soups. But salt can cause your body to retain water – resulting in a bloated look and feel. Just one teaspoon of table salt has an astounding 2,325 milligrams of sodium. Instead of flavoring your food with salt, try pepper, hot sauce or a squeeze of lemon. 3. Get fresh. Springtime is the perfect time to stroll the farmers’ markets for local in-season produce. Get your hands on some fresh fruits and veggies and build a salad for a healthy lunch or dinner based on seasonal and delicious fresh foods. 4. Avoid over-processed and packaged foods. Pre-packaged foods contain lots of unnecessary ingredients to help preserve their shelf life. Opt for natural choices. One trick – avoid the center aisles of your grocery store. The outer aisles contain the produce, meat/poultry/seafood and dairy while the internal aisles are stocked with bags of chips and boxes or crackers that can be diet saboteurs. 5. Keep moving. Even if you can’t fit in a power session at the gym every day, take advantage of springs fabulous weather and get moving! Take a walk around the block, hike a nearby trail or ride your bike instead of getting in the car to tackle your errands. Get your whole family in on the activity by chasing them around the park, jumping rope together or playing a family game of soccer. Teaching your kids that being active is fun begins with you!